AVAILABLE WEIGHTS: 2lb 9oz & 2lb 10oz. 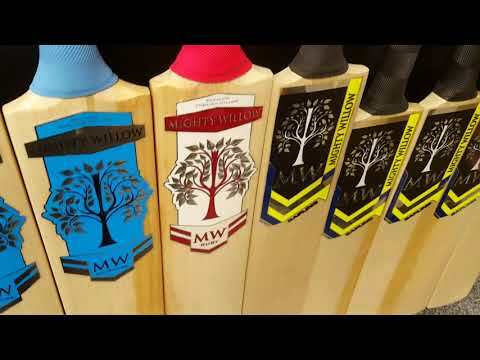 Mighty Willow Pearl Edition Cricket Bats are the pinnacle of the acclaimed Mighty Willow range, recently announced as the 2nd placed cricket bat in the annual All Out Cricket Gear Test for 2017! All Pearl Edition bats are designed and manufactured in England, to exacting standards to enable high performance. The willow for each bat is hand selected, with only the finest Grade 1+ (Pro Grade) English Willow getting through the first phase of the process. The willow is pressed using traditional methods, with the shaping and finishing being done by the hands of master craftsmen. 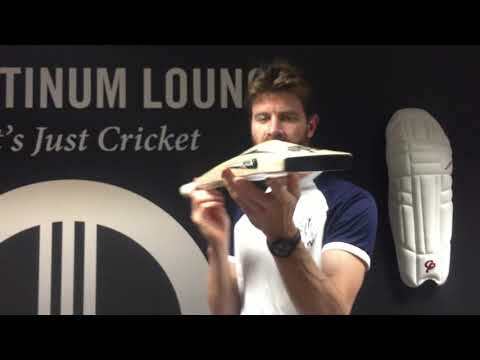 The twelve-piece cane handle ensures the batsman is at ease with the bat and combined with the bowed blade, thick edges and the unique Mighty Willow shape with a mid-low middle and larger hitting zone, create a bat that enhances the batting experience. All Mighty Willow Pearl Edition Cricket Bats are put through a rigorous performance test to ensure a quality product for all cricketers. This new 2019 version of the Mighty Willow Pearl Edition Cricket Bat features new and improved stickers (with more embossing and detailing) and a full length, padded Mighty Willow Bat Cover included free of charge!